Technical problems have blighted local channel Mustard TV's first live coverage of a Norwich City match. 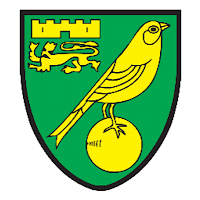 The channel apologised after coverage of Norwich's friendly against West Ham United was affected by three satellite downlink failures and resulted in the channel screening delayed, rather than live coverage of the match. In a statement on social media, the channel said "we are truly sorry for any frustration felt by the fans & its for this reason the decision has been made to show the match from the start tonight." A replay of the match replaced late evening programmes on the channel, with a further repeat scheduled for 11pm on Wednesday. "For reasons beyond our control the live satellite link was unavailable, but we were able to broadcast our recorded coverage. We are as disappointed as the Norwich fans that we were unable to broadcast live." Mustard TV is exclusively available on Freeview and YouView channel 8 and Virgin Media channel 159 in the Norwich area. It does not have the rights to show the matches live online, but an online catch-up facility is available via the Norwich City website. Mustard TV is also due to show Norwich City's friendly against Brentford on Saturday 1st August, kick-off 3:00pm.